A great outfit for a day at the playground or a stroll around town. 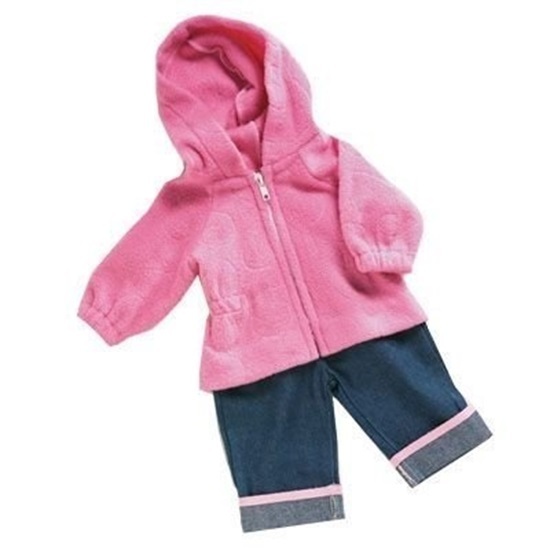 The hooded pink fleece jacket has a swirl design, elastic at the waist, and a zipper. A pair of cuffed denim jeans has pink trim at the top of each cuff. Fits up to 22 inch baby dolls including Newborn Nursery babies, and Adora Toddler Time babies.